Oral Cancer Doesn't Make a Sound, Speak Up!!! a myriad of potential tissue abnormalities - including oral cancer - before they are visible to the naked eye and become problematic. But it's up to you to start the conversation. 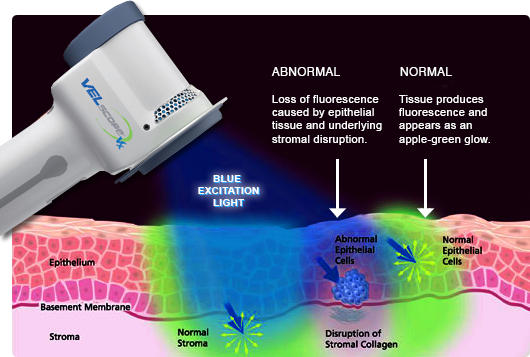 Ask Us for a VELscope Vx oral health exam today for screening oral cancer, because Oral cancer can be a silent killer ! ...and its up to you to give your mouth a voice! in addition to tobacco use, frequent and/or excessive alcohol consumption, a compromised immune system, and past history of cancer. 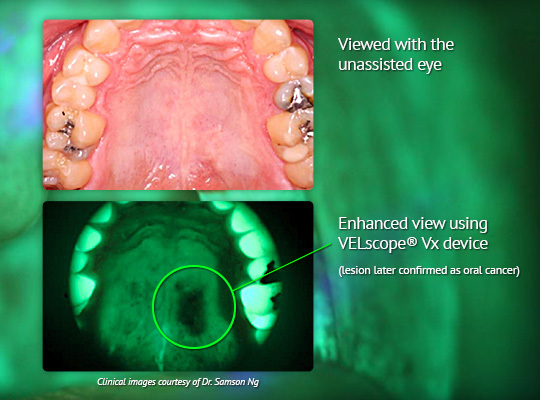 -A VELscope Vx oral health exam for oral cancer screening takes about 2 minutes.